For film lovers visiting New York City this time of year, the Tribeca Film Festival is the can’t-miss event. From April 24th to May 5th, attendees can experience not just incredible movies but all matter of entertainment and education on the medium. There will be live musical performances and virtual reality installations, as well as free panels to guide and inspire those looking to get into the industry. This is your chance to learn about the many facets of the beloved tradition of film. Depending on what parts of the festival you would like to attend, tickets can range from $12 matinee screenings to $40 interactive experiences. VIP packages are also available with access to exclusive lounge areas, all showings, and the opportunity to attend one Gala event of your choice at The Beacon Theatre. Customize your package and purchase your tickets online today for this one-of-a-kind experience. 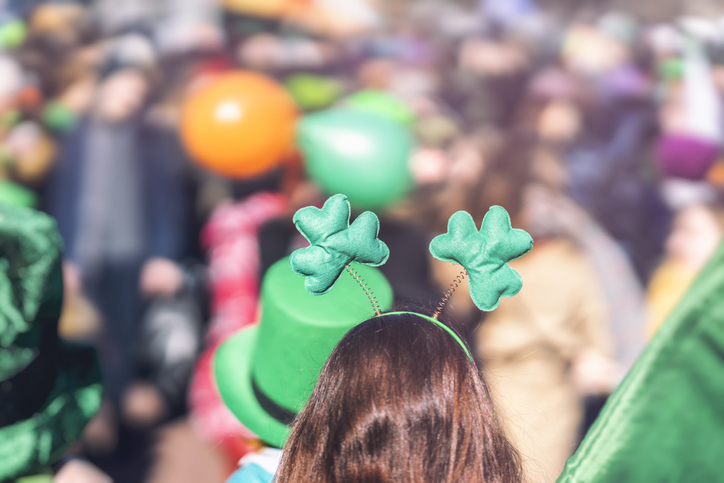 Green beer, singing, dancing, and an iconic parade – it must be St. Patrick’s Day in New York City. When you choose The Artezen Hotel this March as your accommodations, you have ensured convenient access to one of the best parties of the year. Since 1762, the New York City St. Patrick’s Day Parade has offered up not only tons of fun but a historical nod to one of our city’s many vibrant populations. On Saturday, March 16th, from 11:00 a.m. to 5:00 p.m., you can participate in the revelry and view the parade from 5th Avenue between 44th Street and 79th Street. Join in with the locals as award-winning performances are given by twirling, dance, and marching band groups from around the region and slip into the excitement of New York City’s nightlife on its oldest and largest parade day. Your relaxing guest room and comfortable bed at The Artezen will be waiting for you. Less than a mile from your accommodations at The Artezen Hotel, take the time to view and learn about Native Americans at the Smithsonian’s National Museum of the American Indian. 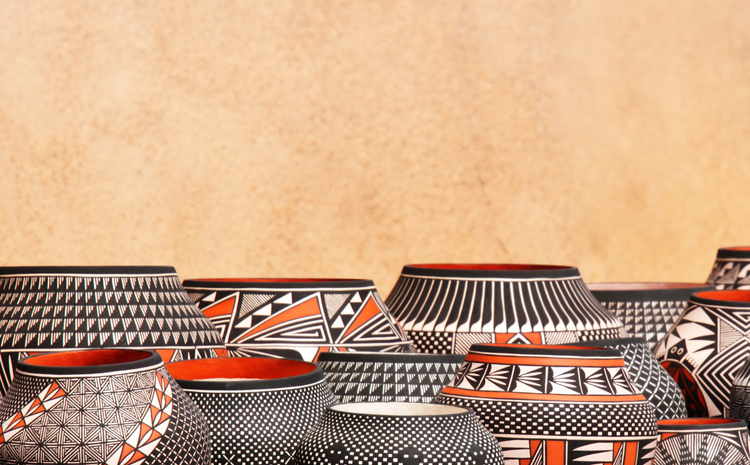 Home to expansive collections of real artifacts, this museum explores the traditions, religions, and daily life of the people of North, South, and Central America. Exhibits showcasing masks, clothing, and pottery are only the start. You and your family will also have the opportunity to explore and watch dance performances, film series, lectures, and other programs available all year long. Be sure to check out the fascinating, ongoing exhibition Patriot Nations: Native Americans in Our Nation’s Armed Forces. The museum is open daily from 10:00 a.m. to 5:00 p.m. and until 8:00 p.m. on Thursdays. Admission is free and public tours are given every day for you to join and be guided throughout the historic Alexander Hamilton U.S. Custom House. In the city that never sleeps, the energy that keeps us bustling can be addictive and exhilarating. Your choice in staying at The Artezen encourages you to experience New York City in all of its splendor as well as indulging in unique avenues of enlightenment. 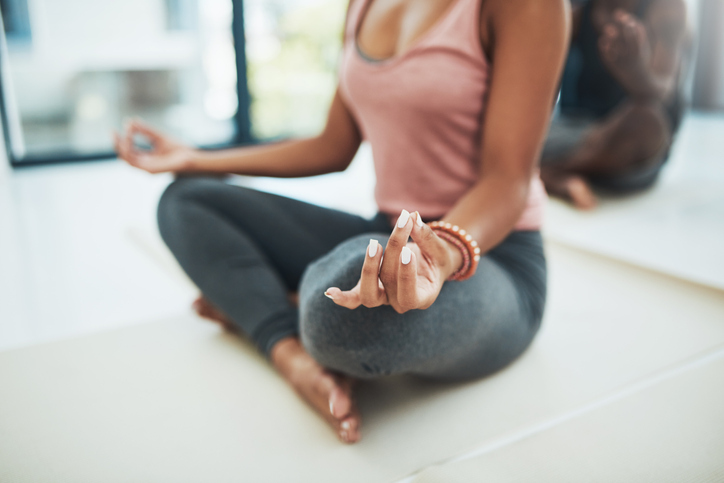 We encourage you to take a moment to breathe deep and explore how your motivation can be improved through the practice of yoga in the convenience of our hotel. Our on-site yoga studio is led by Nikolay Ignatyev, a practiced instructor able to guide you toward tranquility. Nikolay has completed 200-hour training with Sri Dharma and 500-hour training at Atmananda Yoga, which is key experience necessary to personalize classes or individual sessions at every level. Whether you’re staying at The Artezen for business or pleasure, the benefits of a session with Nikolay Ignatyev will help center your spirit and clear your mind. While the streets, squares, and centers of New York City are all decked out with Christmas decorations, there is more to marvel at. The ornate holiday window displays are what NYC is really known for during this time of the year. Jaw-dropping, extravagant displays fill the windows of Barneys, Bergdorf Goodman, Bloomingdale's, Henri Bendel, Lord & Taylor, Macy's, Saks Fifth Avenue and Tiffany & Co. The ornate and over-the-top displays are worth a visit while you are out and about. The holiday tradition of festive window displays dates back to the 1870s, according to Macy's, the first retailer to start the trend. The windows displays are up before Thanksgiving and stay up until shortly after New Year’s. It will take approximately 2 and a half hours with a visit each of the eight displays spanning a few miles, but the views are well worth the time and the distance. 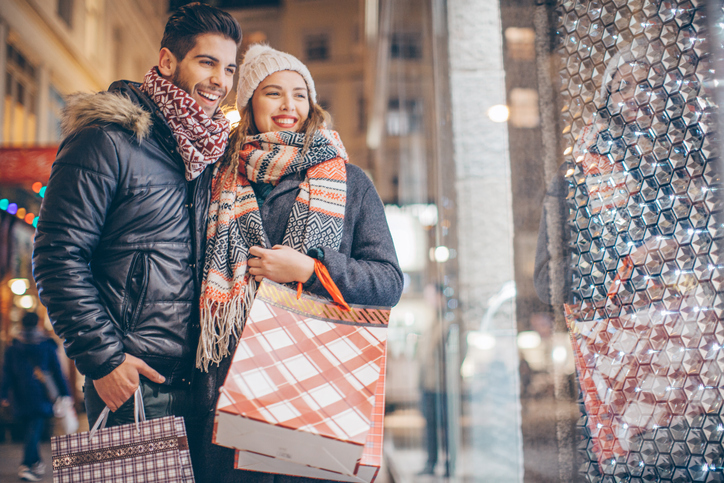 The Macy's Thanksgiving Parade, holiday shopping markets and bazaars, and watching the Rockefeller Center Christmas tree lighting are all NYC holiday season musts. Macy’s Thanksgiving Parade - The Macy’s Thanksgiving Parade is an NYC holiday season staple. The parade will take place on Thursday, November 22nd starting at 9 a.m. and end at noon. A parade of floats, Broadway performers, special guests, gigantic inflatables characters, and entertainers of all kinds will be floating down 77th Street and Central Park West all the way to 34th Street in Herald Square. The Rockefeller Center Christmas Tree Lighting is another NYC holiday season staple. This year's tree is 75-year-old Norway spruce from Wallkill, New York. You won’t want to miss seeing the city light up this 72-foot-tall and 45-foot-wide bustling beauty. The 2018 tree will be lit up for the first time on Wednesday, November 28. The tree lighting will include live performances from 7 to 9 p.m. at Rockefeller Plaza and stays lit until 9 p.m. on January 7th, 2019. Don’t miss out on this NYC holiday tradition! In the 48,000 square foot space that Eataly occupies downtown, you can indulge in the flavors of Italy for lunch, dinner or dessert. Explore the spirits of fall all happy hour long, make your own pizza if you so please, or delight in a guided wine and cheese tasting. This gigantic food emporium offers many Italian delights, produce, cheeses, coffee, wine and an assortment of other delectables. Come prepared with your stomachs empty and your eyes wide, as there is lots to take in and even more to take home. Travel the expanse of Eataly based on your momentary need: be it a morning pick-me-up, a quick lunch to-go, a relaxing meal, or a romantic fine dining experience -- Eataly has it all. Eataly Downtown is located on the 3rd floor of 4 World Trade Center at 101 Liberty Street between Greenwich and Church Street in the Financial District. Explore the creative world of Jim Henson and immerse yourself in his revolutionary work as both an artist and a puppeteer, as well as a pioneer of modern culture—The Jim Henson Exhibition: Imagination Unlimited features over 100 diverse objects from Henson’s prolific career. Take a look at the real Kermit the Frog, Rowlf, Ernie and Bert, Grover, and even more popular favorites. Check out an assortment of props from many of Henson’s iconic productions, including Sesame Street, the Muppet movies, The Dark Crystal, and Labyrinth. Discover his team’s unique creative process through character sketches, storyboards, costumes, and behind-the-scenes footage. This one-of-a-kind exhibit is truly fun for the whole family and can be found less than ten miles away at the Museum of the Moving Image, located in the Queens borough. Be sure to catch it while you can! The Jim Henson Exhibition: Imagination Unlimited will be open until January 31, 2019.